At Australia's Luxury Lodges, taking time out to relax is acknowledged and revered as one of life's true luxuries... Take in wide angle views and watch the sun melt into the sea. Walk barefoot on the beach, swing in a hammock, lounge about in the plunge pool or watch wildlife swim in the bay. Better still, swim with them. Rejuvenate on a secluded island or wilderness retreat, be pampered and preened at a glorious day spa or explore the peace and tranquility of nature’s most spectacular landscapes. The outstanding Timeless Spa at Emirates One&Only Wolgan Valley includes six double treatment rooms and offers a distinct range of relaxation, rejuvenation and beauty therapies drawn from a diverse range of techniques from around the world. Salus Spa at Lake House is a state-of-the-art Spa is surrounded by waterfall fed streams and offers ten treatment areas. 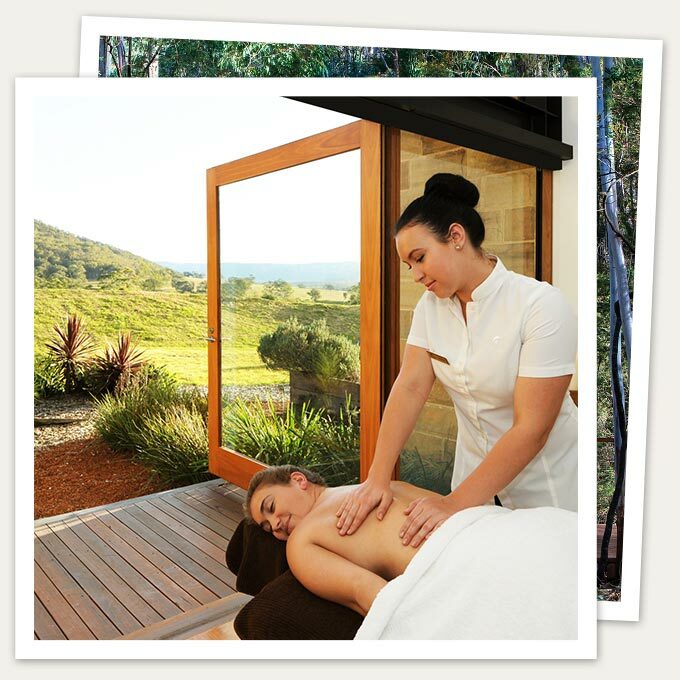 Essentia Day Spa on Lizard Island offers a range of personalised treatments which embrace the powerful healing qualities of nature using the exclusive La Biosthetique skincare range. The tranquil and beautifully designed Spa qualia at qualia offers a truly sensory experience. Spa qualia's menu is authentically Australian, incorporating treatments which capture the essence of Australia and the Great Barrier Reef. Spa Saffire at Saffire is a haven of relaxation, restoration and transformation offering a bespoke spa menu by Celebrity facialist Marionne De Candia, Spa Guru Kirien Withers and natural therapy aficionado Dr Jean Laing. Acclaimed and awarded, Healing Waters Spa at Silky Oaks Lodge, offers 7 treatment rooms including Vichy showers, couples rooms, and Sodashi massages, uses the healing power of water and the tranquil sounds of the rainforest to enhance treatments. Perched remotely on a secluded cliff, the Southern Spa at Southern Ocean Lodge is an intimate and private oasis of calm set amongst coastal drama. Spicers Peak Lodge opened in 2012 a purpose-built Spa Anise facility complete with specially designed treatment rooms, a plunge spa pool on the deck, and a range of unique treatment options. Some of the lodges have an onsite spa facility or designated treatment spaces such as the lovely petite Capella Spa at Capella Lodge where guests have a choice of indulging in the quirky designer chic of Mambo artist Bruce Goold’s interiors or embracing the outdoors in the Kentia Pavilion or The Bouddi Spa at Pretty Beach House, a haven for guests offering with spa treatments that have been thoughtfully designed to rebalance the synergy between mind, body & soul. At other luxury lodges, guests may generally enjoy private in-suite treatments including professional therapeutic massage. Yoga - Some lodges including Lizard Island, Pretty Beach House, Silky Oaks Lodge, qualia and Saffire offer complimentary yoga sessions for guests. Private yoga sessions may be arranged at most of the lodges.